Nissan has not been secretive about its ambitions of producing autonomous vehicles. For some time now they’ve said 2020 will be the year that its cars would take control. 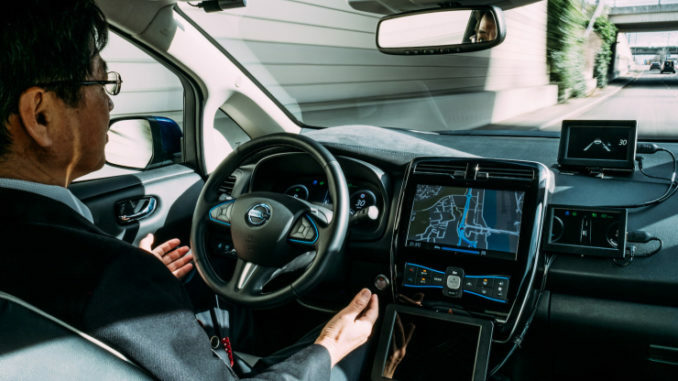 Nissan calls their self-driving technology ProPILOT, which has just been tested for the first time on Japanese roads. 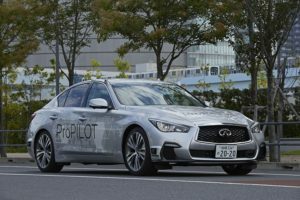 Nissan’s technology will allow for a fully autonomous driving experience, recently lighter versions of ProPILOT have begun to be seen in certain Nissan models. Last July the company announced that the Serena minivan will become their first vehicle featuring the new technology, with ProPILOT being able to control the steering, throttle, and brakes on the highway. Last week Nissan had announced that it would be incorporating ProPILOT in the Rogue, their best selling model. The newest version of ProPILOT, demonstrated in Tokyo, uses artificial intelligence to analyze data received from 12 sonars, 12 cameras, nine millimeter-wave radars, six laser scanners and a high-definition map. Once the driver, or rather the passenger, enters the address of their destination into their navigational device, the car is able to drive fully autonomously on both urban roads and highways to that destination.